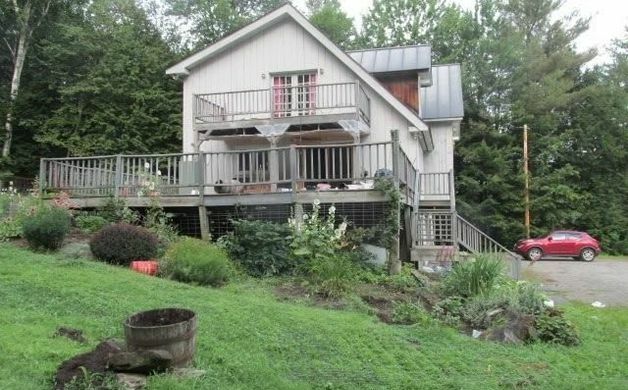 404 Hidden Ridge Road, Pomfret, VT 05053Photo courtesy of Realtor.com. Looking for a new home? Here are 5 local area houses for sale ranging from $198,900 to $795,000, as featured on realtor.com. ($429,000) The thoughtfully designed residence, of a well respected builder, is now offered for sale. The timeless appeal and the features typical of a traditional Vermont farm house combine comfortably with an open floor plan. A living space that has easily accommodated large family gatherings and yet is comfortable and practical when the owner couple is home relaxing by themselves. A generously sized kitchen, a great room with vaulted ceiling, and large covered porch are favorite family spaces. A detached 23x20 workshop/barn/studio provides work area for a professional craftsman. The 5 acres feature both open and wooded land. The views across the extensive lawns are long range! 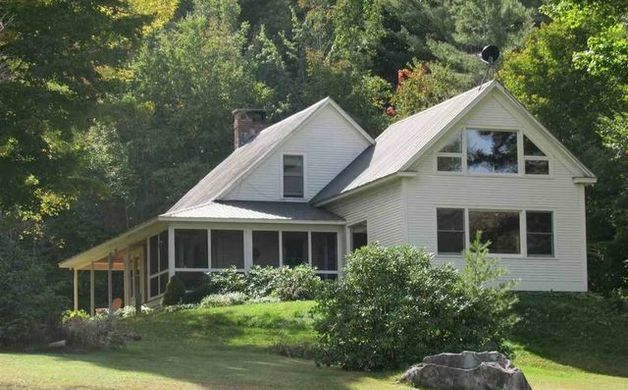 A classic Vermont home that is equally suited for use as a year round residence or as a wonderful vacation retreat! 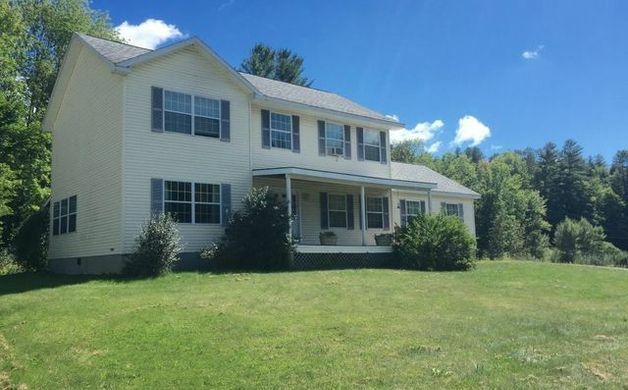 ($198,900) Great location close to Green Mountain Horse Association. Long range views of the Kedron Brook Valley. Open floor plan with plenty of light. 6 stall horse barn. Some work will be needed but the location and price will be worth it. Pertaining to Cash offers, the Grantee(s), or purchaser(s), of the Property cannot re-sell, record an additional conveyance document, or otherwise transfer title to the Property within 60 days following the Grantor's execution of this deed. ($358,000) This wonderful colonial home sits on a double lot next to a tranquil pond. Built in 2004 the home features large spaces and a floor plan with lots of flow and good natural light. There is a generous family room, formal dining room, and separate living room. An open design kitchen with plenty of cupboard and counter space. There are 3 bedrooms including a large master and en suite bath with tub and shower. Enjoy summers on the front porch or anytime on the three season porch. A large unfinished basement offers plenty of storage or future expansion. There is also a one car garage to keep the snow off your vehicle in the winter or to store bikes and kayaks and lawn equipment year round. 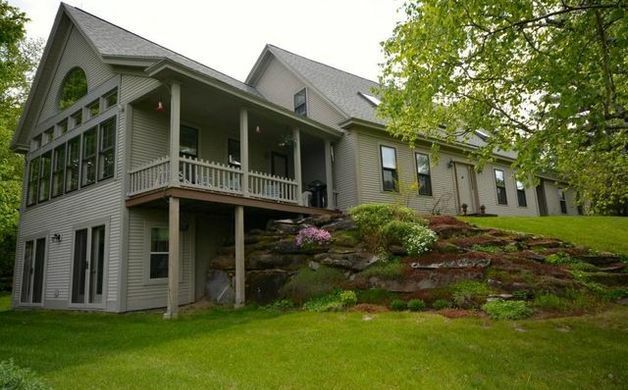 This is a beautiful home located in Quechee but not part of the association so no extra fees. ($795,000) At last! The breathtaking view you've been dreaming of is here! This family-friendly, bright, open house brings the spectacular outdoors in. Whether it's dinner for 4 or 24, or hosting family for a ski weekend, this beautiful 3 bedroom 3.5 bath home handles it all with joy. Completed in the spring of 1996, the house has been continuously updated and improved over the twenty years it has been loved. Hubbardton Forge fixtures, granite and stainless kitchen, solar array with back-up battery system, and LED lighting throughout are just a few of the features that make living in this home a pleasure. 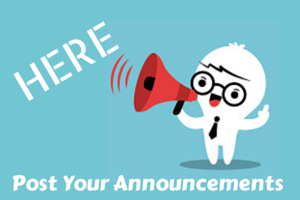 Blazing fast fiber internet service will be installed this year! This incomparable ten-acre parcel - composed of lawns, perennial gardens, a meadow and an extraordinary white birch grove - has not been listed for sale to the public since it was purchased out of the Pomfret hill farms almost half a century ago. Don't miss the opportunity to become the next steward of this Vermont paradise. 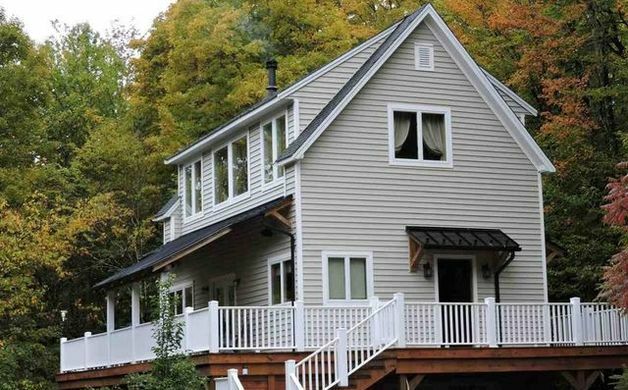 ($239,000) Sited high on a hillside, yet offering easy access to Route 4 sits this almost new 2 BR/2 1/2 BA home built in 2013. Main floor great room with open kitchen/dining and living area with hardwood floors and 10' ceilings. Kitchen offers butcher block counter tops, stainless appliances (including wine fridge!) and sink, island cook-top with exhaust fan and sleek cabinetry. Living room offers access to the deck and covered porch and features an efficient wood burning fireplace and stereo surround sound speakers. Also on the main floor is a 1/2 bath and laundry area with Kenmore W/D. Upstairs are two bedrooms with ensuite bathrooms, ceiling fans and high ceilings. A small loft space offers a quiet place to read with a children's sleeping loft above. Seller/builder was very creative in his use of the space. There is a fully finished basement with 1 car garage and state of the art mechanical's including an efficient Lennox furnace, whole house central A/C and on-demand hot water system. And plenty of storage space.